Located approximately 17 miles northwest of Sisters, Jack Creek Campground is a popular spot for large groups of campers. 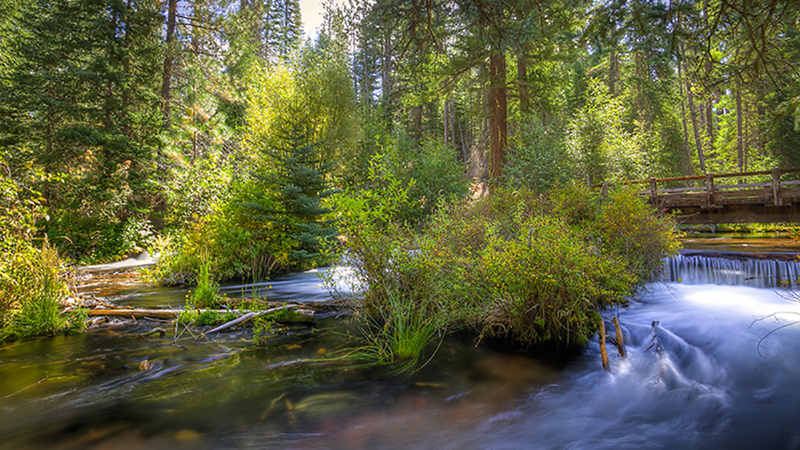 The campground provides access to Jack Creek and is surrounded by large pine trees that offer plenty of shade. Jack Creek Trail is nearby and is a flat, easy hike along the scenic creek. The trail is not paved but is usually smooth enough for rugged baby strollers. Other nearby areas of interest include Camp Sherman, the Head of the Metolius, and Suttle Lake, which allows motorized boats and is popular with fisherman during the season. Jack Creek Campground maintains 19 camping sites that accommodate tents, campers and RVs; vault toilets serve the campground but there is no water. Some sites can be reserved and the per night, per site fee is $14 for the first vehicle and $7 for each additional vehicle. Jack Creek Campground is typically open from May through October; please visit the website for specific dates of operation.